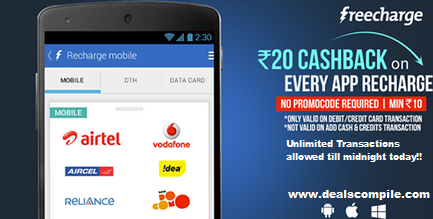 • Valid only on FreeCharge Apps – Android, iOS & Windows. • Valid on payment through Credit/Debit Card only. 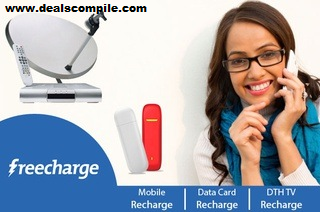 • Cashback amount will be added to your FreeCharge Credits on successful recharge. • Not valid for those who have used Promo Code before.